Great little bungalow, remodeled in2015, New kitchen cabinets and counter tops. Stack-able washer in dryer in bathroom. Currently rented for $600.00 with tenants in under lease thru October 2019, can be negotiated if you want to occupy. Independence is located in Missouri. Independence, Missouri 64052 has a population of 117,255. The median household income in Independence, Missouri 64052 is $44,038. The median household income for the surrounding county is $46,917 compared to the national median of $53,482. The median age of people living in Independence 64052 is 39.7 years. 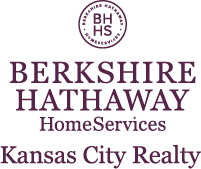 I am interested in 612 S Hardy Avenue, Independence, MO 64052.